Batman might stand a chance. Bruce Wayne and Clark Kent have had enough with the pleasantries. In the final trailer for Batman v Superman: Dawn of Justice, it’s an all out war. Warner Brothers has given fans their final glimpse of new movie footage before it hits theaters next month. Batman gets the biggest role in the new trailer that shows Superman won’t have an easy fight against Gotham’s Dark Knight. There are also some new shots of Wonder Woman, Alfred, and of course Lex Luther. Having to do your background reading just to go and watch a movie sounds a whole lot like schoolwork, but thankfully when it comes to the world of comic books things ain’t so bad! With theaters set to play host to a gorgeous buffet of superhero flicks over the next year, Cult of Mac took it upon ourselves to play teacher and instruct you on exactly which graphic novels you should be chowing down on before walking into Avengers: Age of Ultron or Batman V Superman. There are few comic books movies fanboys are salivating over more than 2016's upcoming Batman V Superman: Dawn of Justice. 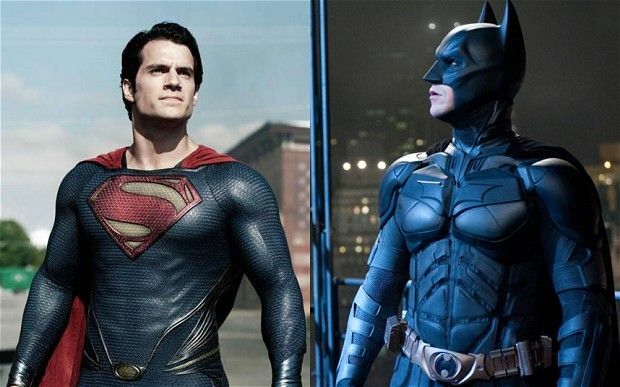 As huge Superman and Batman fans, no-one is more excited than we are. With that in mind, here are the 9 things we hope more than anything that director Zack Snyder is able to get right for history's most eagerly-anticipated team-up. Check out the gallery to find out what they are. We’ve heard casting announcements in the form of Batfleck and Jesse “Lex Luthor” Eisenberg (to name a few), had our first sniff of the Batsuit and the Batmobile — and now we finally have a name for the forthcoming Batman-starring Man of Steel sequel.